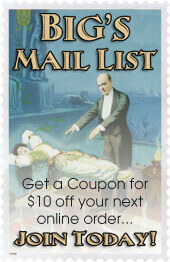 Subscribing to Big's Newsletter comes with Benefits! 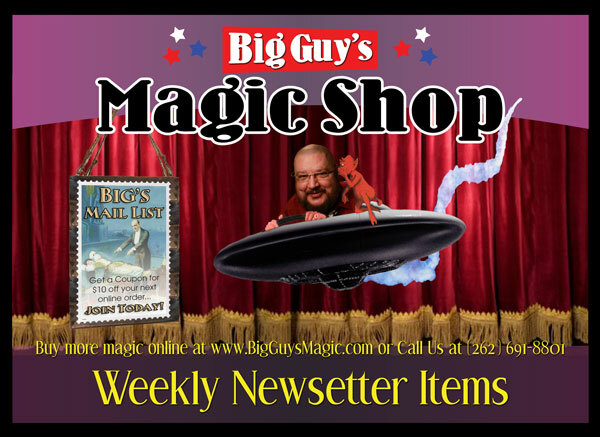 When you subscribe to our newsletter you will receive a special coupon code for $10 off your next purchase at Big Guy's Online Magic Store. Don't wait too long as there's no telling when the Big Guy will come to his senses and put the kibosh on this sweet deal! Be sure to add your birth date when subscribing to our newsletter! The Big Guy has a special gift for you on your birthday. If you add your birthday when subscribing the Big Guy will make your special day even better.